DENTASTIX Fresh Treats are the minty fresh treat that make snack time even better for you and your dog. 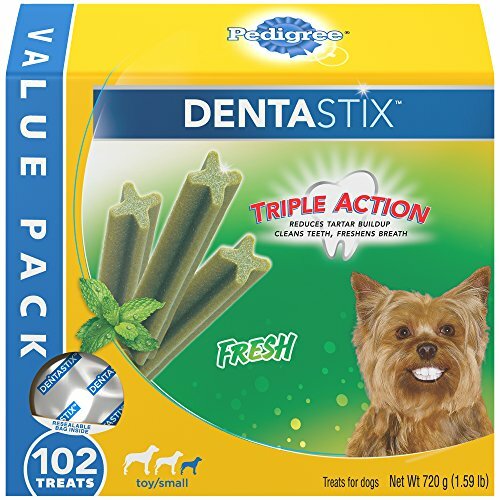 Their chewy texture and unique X-shape design is clinically proven to reduce plaque and tartar buildup, so treat time promotes oral health too! Our dental sticks have a unique X-shape design and are specially designed for adult toy and small breed dogs, weighing between 5-20 lbs.